Sturtevant Richmont is the leader in advanced torque systems, torque application and audit tools and torque calibration systems. Clairton Industrial Tool & Supply is a proud reseller of Sturtevant Richmont torque products because our clientel demands the highest quality torque wrenches and systems you can't find in most industrial supply stores. When your torque applications require precise management and control you don't want to settle for anything less than the products and services Sturtevant Richmont has to offer. From automotive assembly plants, to heavy industry, these are the tools the professional use. The Exacta Plus torque system includes a specially-designed Exacta Plus digital torque wrench that communicates with and is controlled by proprietary software. The data export capabilities of the Exacta Plus system facilitate integration with your plant’s quality software. This eliminates inefficiencies associated with information and data handling, and allows you to focus on joint quality  the whole reason you audit! The Exacta product line is designed to provide flexible digital solutions to a broad range of assembly and torque audit requirements. Whether your need is for a simple stand-alone digital torque wrench, or a sophisticated on-line real-time flexible assembly torque wrench. Oversized dial face is extremely easy to read and helps to eliminate parallax error. Heavy duty dial guard protects against breakage. 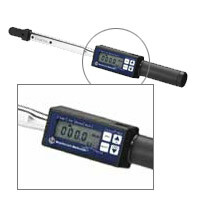 A memory indicator is provided on each wrench and remains at the maximum torque achieved for positive torque verification. Each wrench comes in its own storage case. Accuracy of +/- 3% Indicated Value from 20% to 100% of capacity meets or exceeds ASME B107.14M and ISO 6789. On tools of 250 ft. lbs./350 Nm capacity and below, a neoprene rubber grip is provided to guide the hand to the proper grip and provide comfort during use. Dial faces are color-coded: silver for inch pounds, gold for foot pounds, and white for Newton meters. Color-coding provides instant visual verification that the proper wrench is in use! The four most important characteristics of a torque wrench - accuracy, reliability, durability, and low ownership cost, are combined into these exceptional tools. Accuracy is literally ground into the wrench. The special alloy steel beam is ground to a rate of deflection with the use of dead weights, rather than to a dimensional tolerance. This process is time consuming and very labor intensive, but the result is a tool that remains accurate as long as the beam is intact and the pointer is on zero under no-load condition. The flat (actually tapered) shape of the beam insures the beam remains at a right angle to the fastener, reducing or eliminating side-load error. 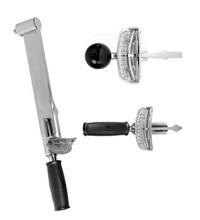 This unique taper grinding distributes stress evenly along the entire length of the beam, extending tool life indefinitely. With a minimum of moving parts, these tools are virtually repair and maintenance free. Incredibly durable design, with a service life frequently measured in decades! Very low cost of ownership - exceptional accuracy retention permits extended calibration intervals, and they are virtually maintenance and repair free! Ideal for prevailing-torque and destructive testing applications! Low mass/low inertia design of pointers helps eliminate reading distortion. Perfect for assembly lines and kits! S/R's PM-Series of preset torque screwdrivers have the ideal combination of torque range and accuracy for assembling and maintaining electronic components and precision mechanical products. Whether you are assembling products with many small fasteners like sewing machines or maintaining telecommunications devices or infrastructure, these tools fit the bill! PM-Series accuracy of +/- 6% Indicated Value meets or exceeds ASME 107.14M and ISO 6789 requirements. We offer bi-directional versatility with clockwise [CW] and counter-clockwise [CCW] operation. The internal clutch releases automatically when the preset torque is attained. The anti-backlash design increases repeatability. The torque can be preset using any unit of torque measurement. The long shaft allows the operator to reach many limited-access fasteners. The PM-Series uses standard bits, adapters, and sockets. This includes systems that measure torque, either in a torque application tool calibration function, or directly as a rotary transducer does. It includes all S/R torque testers, from the most basic to the most advanced, as well as S/R software. Mechanical loaders and their accessories. This category includes systems that communicate with line controls, either PLC or PC-based. It also includes stand-alone control systems for manual torque tools in a cell-type operation. Looking for a specific Sturtevant Richmont torque wrench? 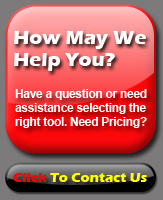 Have a question or need assistance in selecting a torque wrench? It has been almost seventy years since P.A.Sturtevant introduced the original deflecting beam torque wrench and shortly thereafter Frank Livermont designed, manufactured and sold the first "clicker " type torque wrench. Over the last twenty years our focus on innovation and quality has resulted in a string of firsts in our industry. These include, fully automated torque testers, microprocessor based torque testers, utilization of software for hands free torque testing, ISO 9001 Registration, ISO/IEC 17025 Accreditation, supplying certificates of calibration with all tools and successful RF transmission of data within manufacturing facilities.